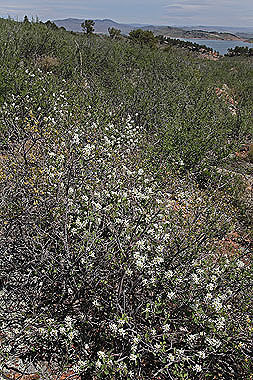 Saskatoon Serviceberry is a shrub that grows up to fifteen feet tall on dry hillsides, often amongst Mountain Mahogany. 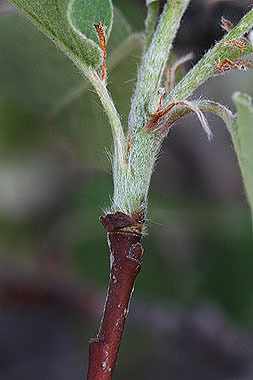 Young stems are pubescent but become glabrous (hairless) with age. 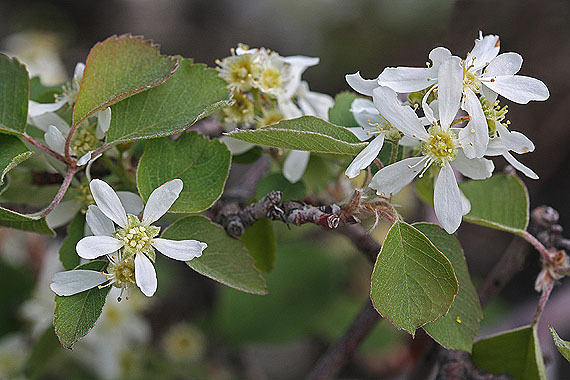 Leaves are broadest near the tip, which is toothed.